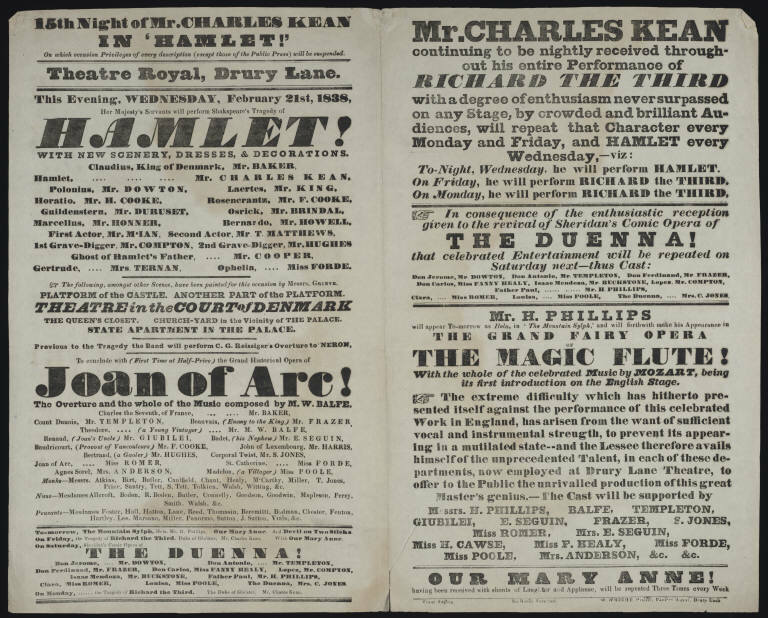 The endless variability of Shakespeare’s texts, and of the constantly changing expectations of Shakepeare as author, can be seen in this theatre advertisement for Charles Kean’s performance of Hamlet–or, Hamlet!–at London’s Theatre Royal in 1838. Hamlet! is slated here to conclude (first time at half price) with the musical opera of Joan of Arc, and was performed for “crowded and brilliant audiences” by Kean, alternating with his performances of Richard III.